Rovaniemi is an urban outpost amidst wild nature, where age-old traditions meet modern life. In Finnish folklore, Lapland is known as a mythical place of shamans, spirits, and spells that stage supernatural sagas in the ruggedly beautiful wildernesses of the north. Many a legend are rooted in natural phenomena like the Northern Lights and the Midnight Sun, and still survive to this day. A connection to nature has remained a central element in Lappish life throughout history. 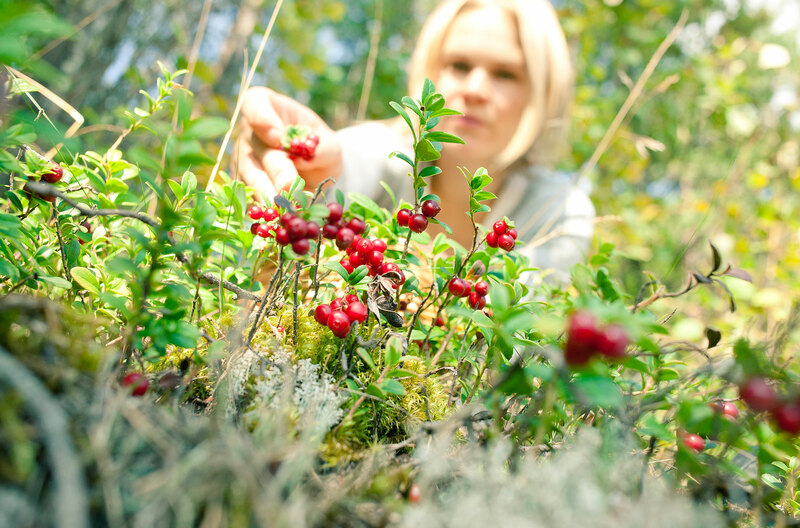 Today, Rovaniemi is a modern city, but the surrounding natural areas are still frequented by people for hunting, fishing, and berry and mushroom picking; the forests have provided food for locals for millennia. 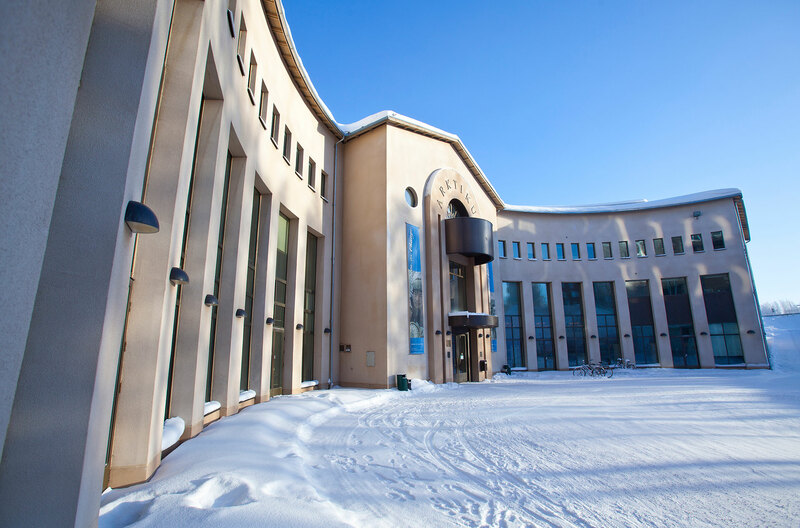 To get a grasp of local and regional history and culture, the definite places to start are museum and arctic science centre Arktikum and Korundi House of Culture. The introduction to local life is completed by a visit to forest-themed Science Centre Pilke – all three are easily accessed with one ticket, the Culture Pass. Spending time outdoors defines life in Rovaniemi. Besides the more traditional pastimes, people stay active hiking, mountain biking, cross-country skiing, snowboarding, snowmobiling… there are scores of options for outdoor activities in Rovaniemi. Want to do something typically local? Head to one of the tens of lean-tos in the Rovaniemi area and fry sausages by open fire. 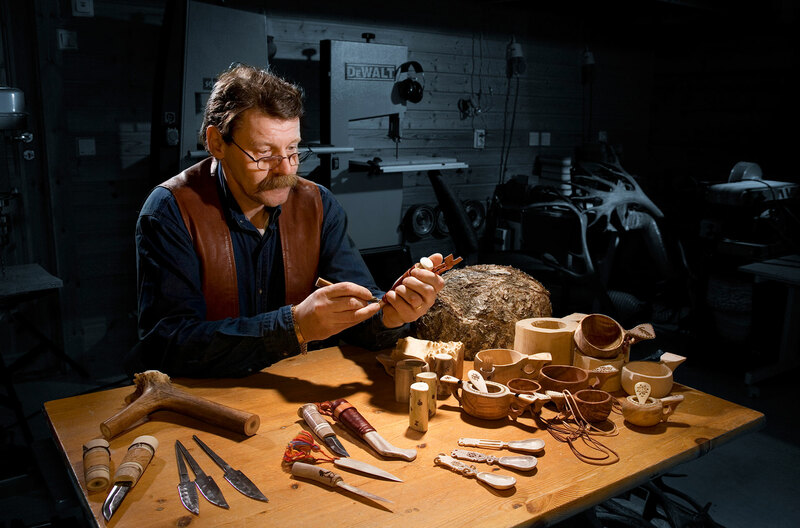 There are long traditions of making arts and handicrafts out of local materials like wood and reindeer antler in Lapland. For those who like making things with their hands, handicraft workshops in Rovaniemi are warmly recommended. If manual fiddling is not your thing, locally produced artefacts like knives, jewellery and gifts are available in many local shops. 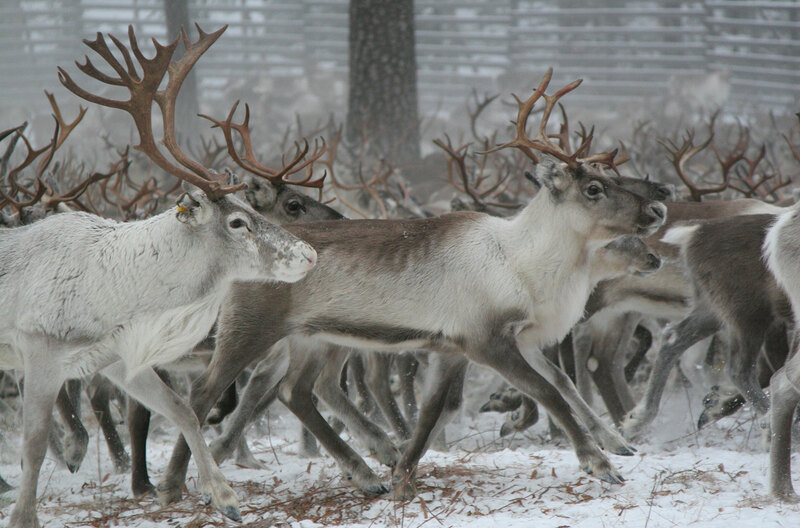 Reindeer are the icons of Lapland and for good reason – there are more reindeer than people! With the numbers 200 000+ against 180 000 in the animals’ advantage, it’s unlikely not to run into reindeer in Lapland, and they sometimes even wander near the city centre in Rovaniemi. For guaranteed reindeer encounters, sleigh rides and farm tours are the way to go. It should be noted that flying reindeer remain Santa Claus’ privilege. Sauna is an inseparable part of Finnish culture, and Lapland is no different as most people have saunas in their homes and cottages. 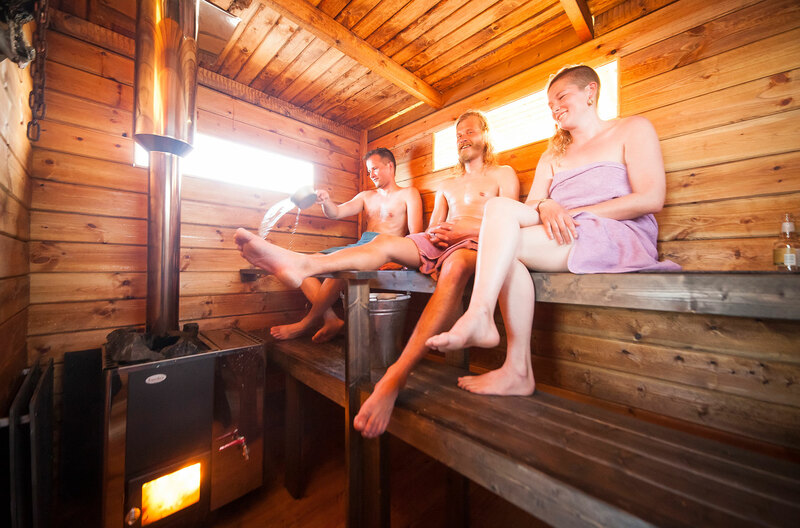 For visitors, there are a variety of sauna experiences available all year round in Rovaniemi. For more information on the meaning of sauna to Finns, see visitfinland.com. 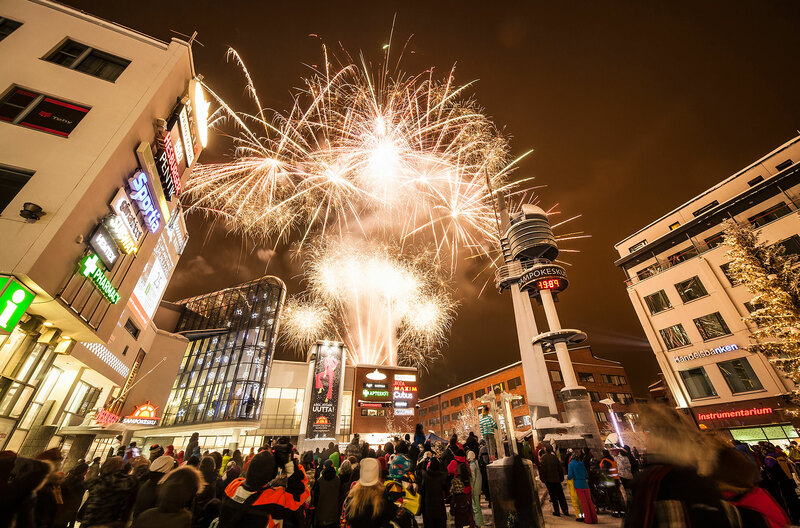 A variety of cultural institutions, tourist attractions, shopping centres, sports facilities, restaurants and bars have earned Rovaniemi a reputation as the vibrant provincial capital of Lapland. A constant flow of visitors and the thousands of students in local colleges liven up the town with international influences that mix with local flavours. For a town the size of Rovaniemi (60 000 inhabitants), the night time offerings are surprisingly good and range from trendy cocktail bars to rock clubs. 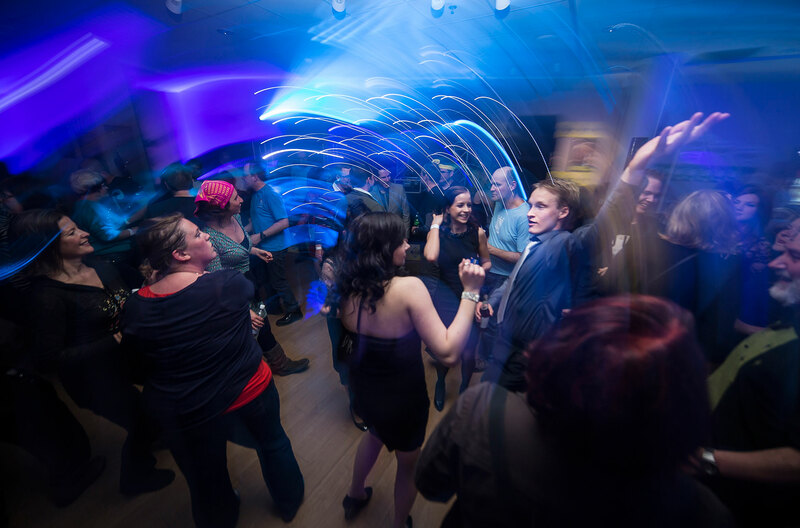 It could be argued that Rovaniemi is one of the few places in the world where you can head from a husky tour straight to a cool bar where the DJ spins the latest tunes. Well, maybe take a shower first!